Lenovo today announced a new patent-pending Low Temperature Solder (LTS) process developed to improve PC manufacturing by conserving energy and increasing reliability. Ever since having to abandon the use of lead-based solder more than 10 years ago due to environmental concerns, the electronics industry has been searching for a solution to reduce heat, power consumption and carbon emissions by improving the tin-based solder process which replaced the older lead-based process. The newer tin-based process required extremely high temperatures consuming more energy and adding significant stress on components. With a new LTS process, Lenovo proves it continues to be at the forefront of innovation, introducing a game-changing manufacturing process that is not only applicable to Lenovo products, but can be universally applied to all electronics manufacturing involving printed circuit boards with no cost or performance impact to customers. The true innovation is in the science and testing required to develop and validate the new LTS process. Lenovo investigated thousands of combinations of solder paste material composed of a mixture of tin, copper, bismuth nickel and silver, specific compositions of flux material and unique profiles of time and heat temperatures that combine to enable this process. As is typical in standard electronics assembly using surface mount technology (SMT), the solder and flux mixture is first printed on the face of the circuit board. The components are then added and heat is applied to melt the solder mixture, securing and connecting the components to the board. With the new LTS process, soldering heat is applied at maximum temperatures of 180 degrees Celsius, a reduction of 70 degrees from the previous method. Throughout testing and validation, Lenovo used existing materials to compose the solder paste and existing oven equipment for heating, thus Lenovo can implement the new system without increasing production costs. 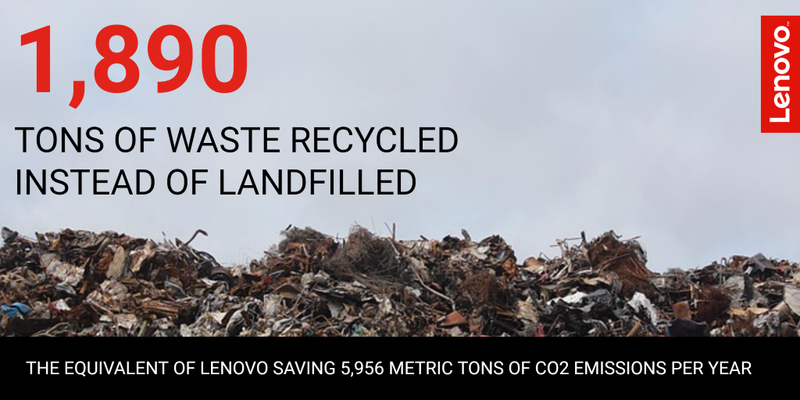 After validation of the procedure, Lenovo discovered a significant reduction in carbon emissions as a result of using the new process. The procedure is already in production for ThinkPad E series and the 5th generation X1 Carbon recently announced at CES. 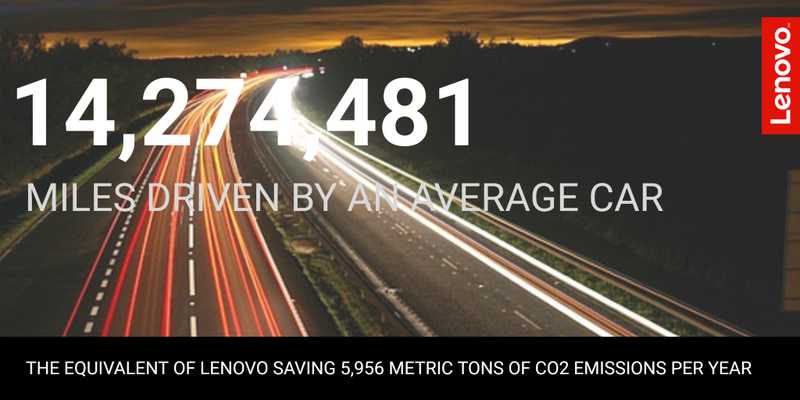 Throughout 2017, Lenovo intends to implement the new LTS process on 8 SMT lines and estimates savings of up to 35% on carbon emissions1. 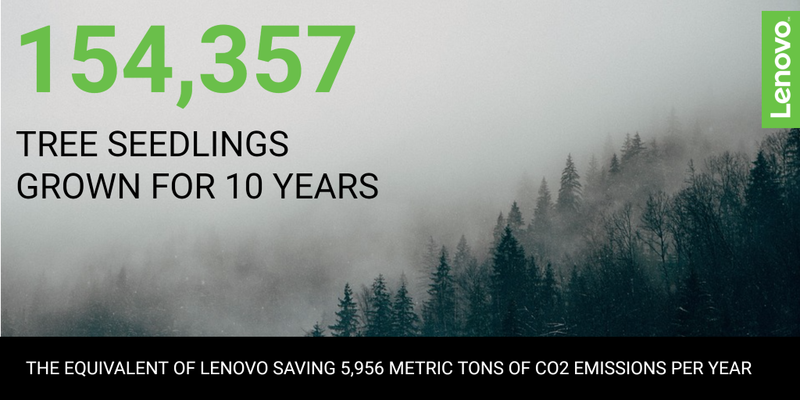 By the end of 2018, Lenovo aims to have 33 SMT lines with 2 ovens per line using this new process, giving an estimated annual saving of 5,956 metric tons of CO2. 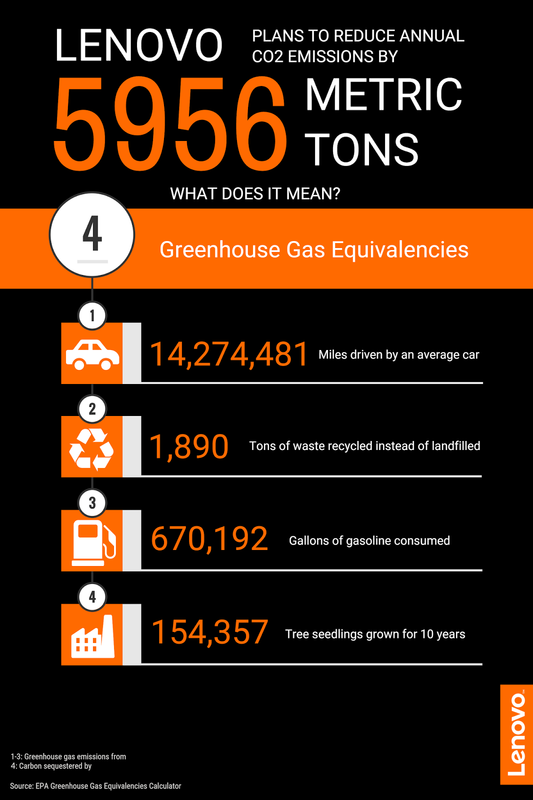 To put this into perspective, the equivalent reduction in CO2 emissions is equal to the consumption of 670,170 gallons of gasoline per year. Through the new process, Lenovo also expects better reliability for its devices due to lower heat stress during the “oven bake” procedure. In the early stages of deployment, Lenovo has observed a 50% decrease in printed circuit board warpage and a reduction in defective parts per million during the manufacturing process. 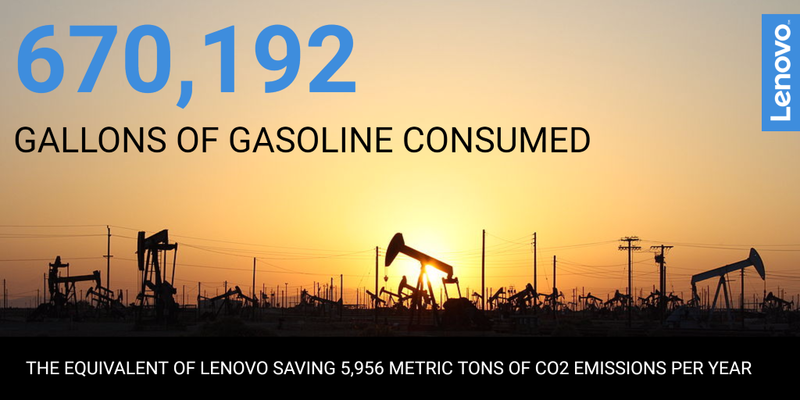 Lenovo continues to prove itself as a leader in innovation, technology and sustainability. Its commitment to supporting a transition to a lower carbon economy is further demonstrated by the savings the new LTS process brings. Furthermore, in 2018 Lenovo intends to offer the new procedure for use on an industry-wide basis free of charge.